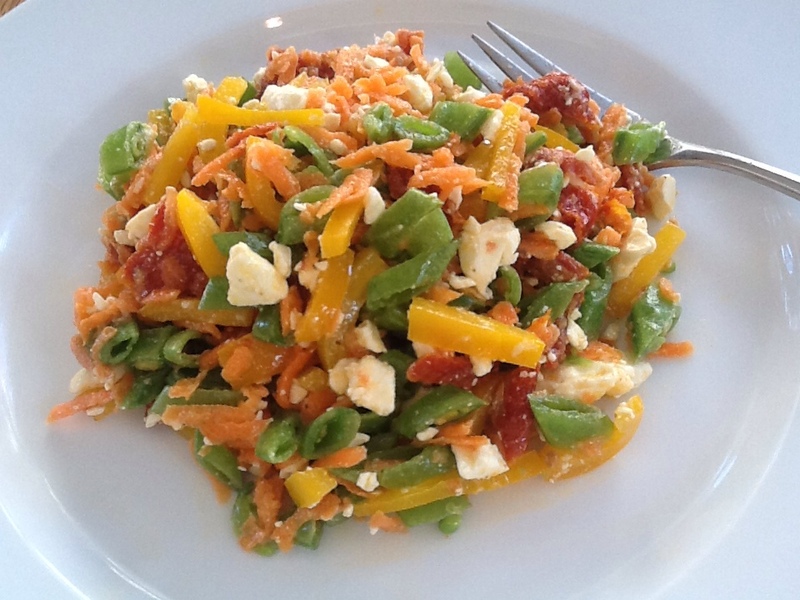 Gluten free Breakfast Salad :-) | I Am Not A Restaurant! Yes, I woke up craving a breakfast salad. Actually, coffee…and a stale chocolate covered, raspberry, kosher for Passover marshmallow. But after that, a breakfast salad. The cool thing about salad is it can literally be made from anything to suit any palate, aversions and allergies. To prove my point, one lovely, well known event venue not far from the house offered “candy salad” as a bar/bat mitzvah menu option. If the overall price had been more budget friendly, we might even have gone there! Since I also obsessively worry about wasting the vegetable bin, making salad can ease my anxiety. That's how the whittled carrots got shredded into today's mix. Salad for breakfast can satisfy several of the day's produce requirements (unless it is the aforementioned “candy salad”). And while some elements can be cooked, they don't need to be, making it a perfect beginner dish. Any extra protein can be added to round out the dish. Combine all ingredients. Adjust dressing. Serve. Endnote: keeps for the road, EZ additions or substitutions include leftover chicken, pork, chickpeas, chive, scallions, cherry tomatoes…get the picture? 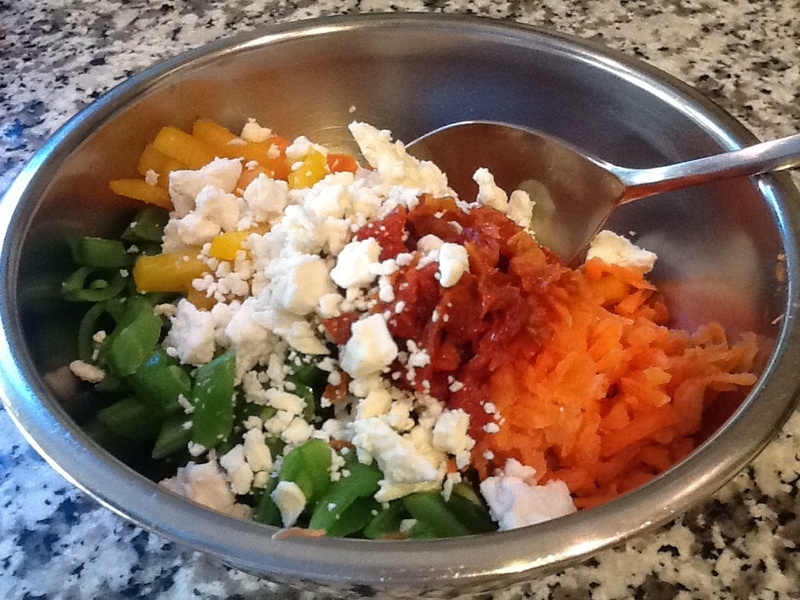 Mar27March 27, 2013 • By Betsy Karetnick • This entry was posted in breakfast, Dish of the Day, Gluten-free, Kitchen Help, Recipes, sugar snap peas and tagged breakfast, gluten-free, salad, salad for breakfast. Bookmark the permalink.